The Lucky Hotel emerged as one of the state’s most impressive hotels at the Australian Hotels Association (NSW) Awards for Excellence on Tuesday 1 December 2015. The Lucky, which rose from the ashes of the former Lucky Country Hotel on Crown Street less than a year ago, won five awards – Best Redeveloped Hotel (Country), Overall Hotel of the Year (Country), Best Deluxe Pub-Style Accommodation, Best Burger and Best Individual Hotel Operator. Co-owner Hayley McCloy, who was named best single hotel operator, said the five wins were a surprise. “To be honest we thought we had a fairly good chance for best redevelopment because a lot of hard work, time and effort went into the redevelopment of the hotel,” Ms McCloy said. “We were up against places like the Establishment hotel in the accommodation and some of Sydney’s best pubs in the burger category. 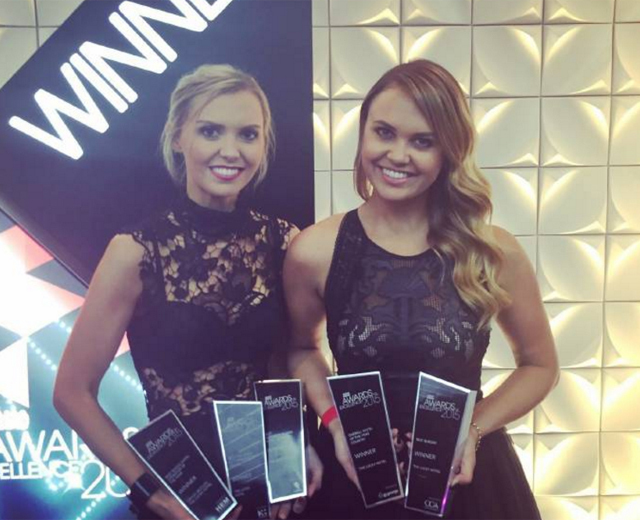 The Lucky was one of two hotels from Newcastle (and one of four from The Hunter) to receive accolades on the night. Ms McCloy said the Hunter’s strong showing was testament to a golden age in the city’s hospitality sector. “We have those quality offerings now that people in Newcastle have been crying out for,” she said.